Former Pennsylvania Attorney General Kathleen Kane, who is serving a jail sentence for various criminal offenses, finally lost her license to practice law in the state. On Friday, the Disciplinary Board of the Supreme Court of Pennsylvania ordered Kane’s disbarment on consent from the state’s Bar. 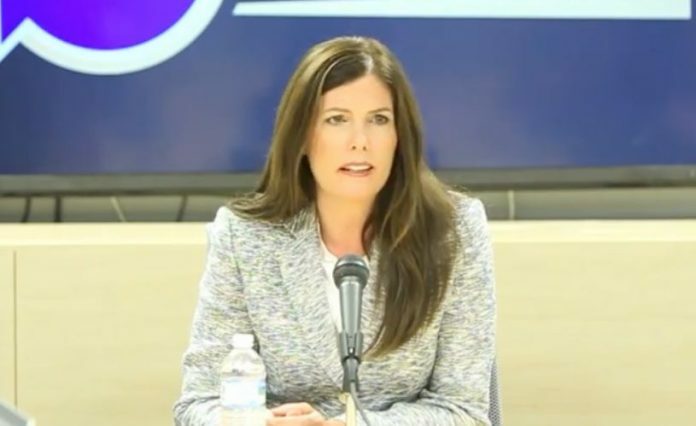 In September 2015, the Disciplinary Board of the Supreme Court of Pennsylvania temporarily suspended Kane’s law license. At the time, she submitted her unconditional resignation from the practice of law in the state because she was facing criminal charges. On August 2016, the Montgomery County Court of Common Pleas convicted her of criminal offenses including perjury, false swearing, obstructing administration of law, conspiracy to obstruct administration of law, official oppression, and conspiracy to commit oppression to deny rights. During the sentencing hearing in October 2016, Kane pleaded for leniency citing the reason that she has teenage children. She also argued that losing her law license and position as attorney general was already a punishment. Judge Wendy Demchick-Alloy disagreed and sentenced her to 10-23 months in jail and 8 years of probation. Judge Demchick-Alloy explained that Kane deserves a prison sentence. According to her, “a violation of this magnitude and severity is an extraordinary abuse of the sentence. Kane appealed the conviction. She argued that the judges in Montgomery Court recused themselves from handling her case. She alleged that the judges had connections to the grand jury investigation. The disgraced former attorney general also argued that he prosecutors used vindictive tactics to obtain her conviction. A three-judge panel of the Superior Court rejected her arguments and upheld her conviction. Kane filed a petition for allowance of appeal at the Pennsylvania Supreme Court. On November 26 last year, The Pennsylvania Supreme Court denied Kane’s appeal and ordered her to serve her sentence.